Ankle sprains are a common injury that can occur in a fraction of a second. Your job requires you to stand all day in the kitchen; one small step sideways where your foot catches the floor and the edge of the rubber mat, and there you go. 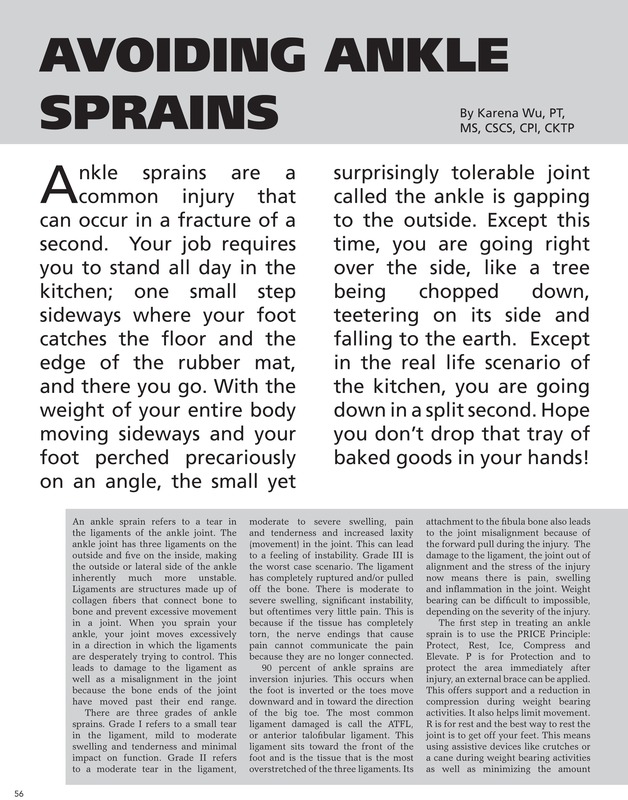 With the weight of your entire body moving sideways and your foot perched precariously on an angle, the small yet surprisingly tolerable joint called the ankle is gapping to the outside. Except this time, you are going right over the side, like a tree being chopped down, teetering on its side and falling to the earth. Except in the real life scenario of the kitchen, you are going down in a split second. Hope you don’t drop that tray of baked goods in your hands! 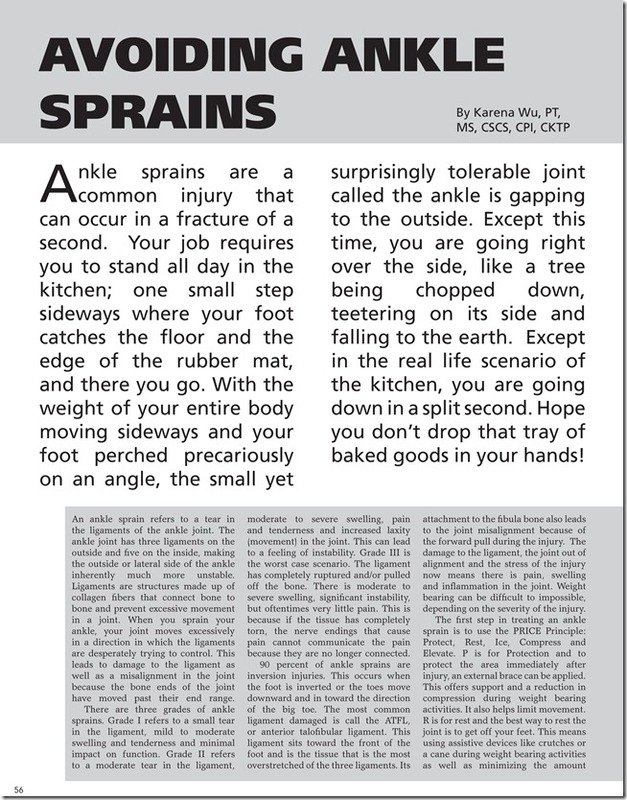 An ankle sprain refers to a tear in the ligaments of the ankle joint. 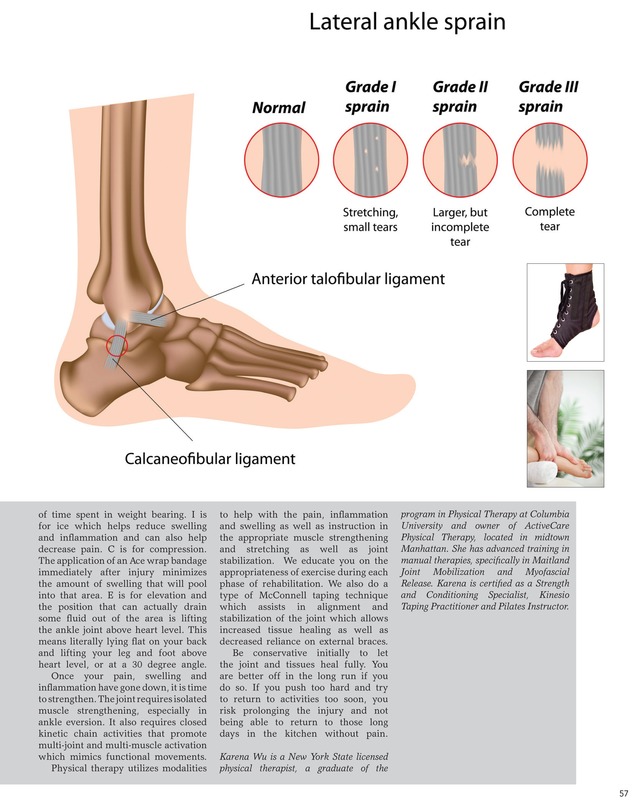 The ankle joint has three ligaments on the outside and five on the inside, making the outside or lateral side of the ankle inherently much more unstable. Ligaments are structures made up of collagen fibers that connect bone to bone and prevent excessive movement in a joint. When you sprain your ankle, your joint moves excessively in a direction in which the ligaments are desperately trying to control. This leads to damage to the ligament as well as a misalignment in the joint because the bone ends of the joint have moved past their end range. 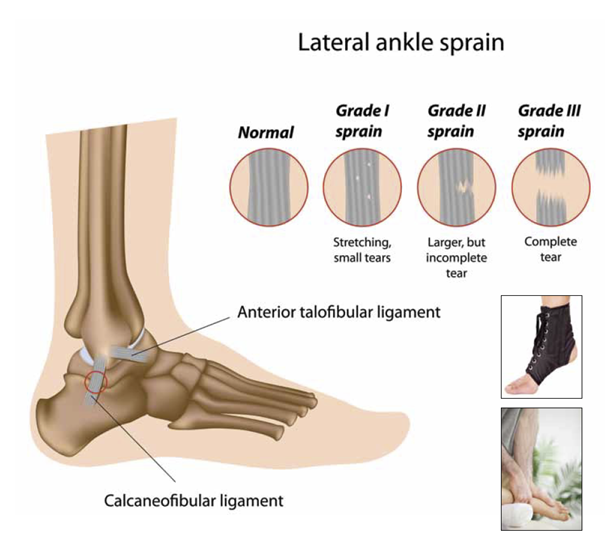 There are three grades of ankle sprains. Grade I refers to a small tearing the ligament, mild to moderate swelling and tenderness and minimal impact on function. Grade II refers to a moderate tear in the ligament, moderate to severe swelling, pain and tenderness and increased laxity (movement) in the joint. 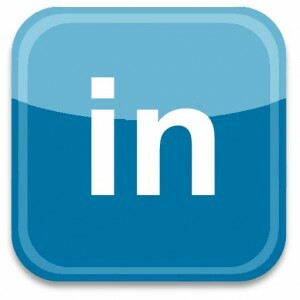 This can lead to a feeling of instability. Grade III is the worst case scenario. The ligament has completely ruptured and/or pulled off the bone. There is moderate to severe swelling, significant instability, but oftentimes very little pain. This is because if the tissue has completely torn, the nerve endings that cause pain cannot communicate the pain because they are no longer connected. 90 percent of ankle sprains are inversion injuries. This occurs when the foot is inverted or the toes move downward and in toward the direction of the big toe. The most common ligament damaged is called the ATFL, or anterior talofibular ligament. This ligament sits toward the front of the foot and is the tissue that is the most overstretched of the three ligaments. Its attachment to the fibula bone also leads to the joint misalignment because of the forward pull during the injury. The damage to the ligament, the joint out of alignment and the stress of the injury now means there are pain, swelling and inflammation in the joint. Weight bearing can be difficult to impossible, depending on the severity of the injury. The first step in treating an ankle sprain is to use the PRICE Principle: Protect Rest, Ice, Compress and Elevate. P is for Protection and to protect the area immediately after injury, an external brace can be applied. This offers support and a reduction in compression during weight bearing activities. It also helps limit movement is for rest and the best way to rest the joint is to get off your feet. This means using assistive devices like crutches or a cane during weight bearing activities as well as minimizing the amount of time spent in weight bearing. I is for ice which helps reduce swelling and inflammation and can also help decrease pain. C is for compression. The application of an Ace wrap bandage immediately after injury minimizes the amount of swelling that will pool into that area. E is for elevation and the position that can actually drain some fluid out of the area is lifting the ankle joint above heart level. This means literally lying flat on your back and lifting your leg and foot above heart level, or at a 30 degree angle. Once your pain, swelling and inflammation have gone down, it is time to strengthen. The joint requires isolated muscle strengthening, especially in ankle eversion. It also requires closed kinetic chain activities that promote multi-joint and multi-muscle activation which mimics functional movements. Physical therapy utilizes modalities to help with the pain, inflammation and swelling as well as instruction in the appropriate muscle strengthening and stretching as well as joint stabilization. We educate you on the appropriateness of exercise during each phase of rehabilitation. We also do a type of McConnell taping technique which assists in alignment and stabilization of the joint which allows increased tissue healing as well as decreased reliance on external braces. Be conservative initially to let the joint and tissues heal fully. You are better off in the long run if you do so. If you push too hard and try to return to activities too soon, you risk prolonging the injury and not being able to return to those long days in the kitchen without pain. Best PT Karena Wu featured in April 2012 Dessert Professional–Ab Fab!